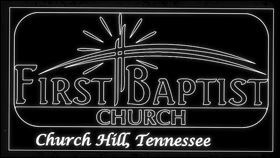 Deacon Installation Ordination AM Service Sunday, Sept. 30th – First Baptist Church – Church Hill, Tn. 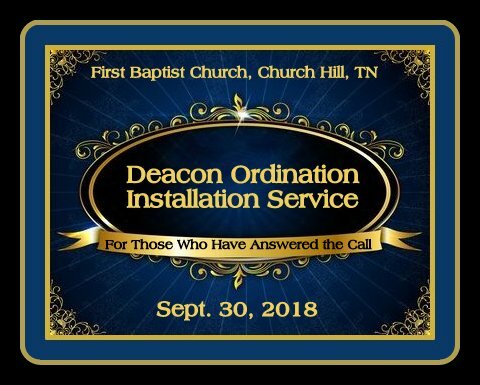 On Sunday, September 30th, we will have our Deacon Ordination/ Installation Service which will take place in our AM Worship. The eight Deacons who will rotate off are: Clayton Cradic, Mark Derrick, Garry Garretson, Allen Goad, Tom Henard, Earl Hood, Larry Kerns, and Bud King. Seven Deacons will be re-instated and one will be ordained. Those Deacons coming back are: Jerry Edds, Ken Luster, David Parker, Mike Redman, Landon Roberson, Chris Roberts, and James Shackelford. Tony Allen will be ordained.